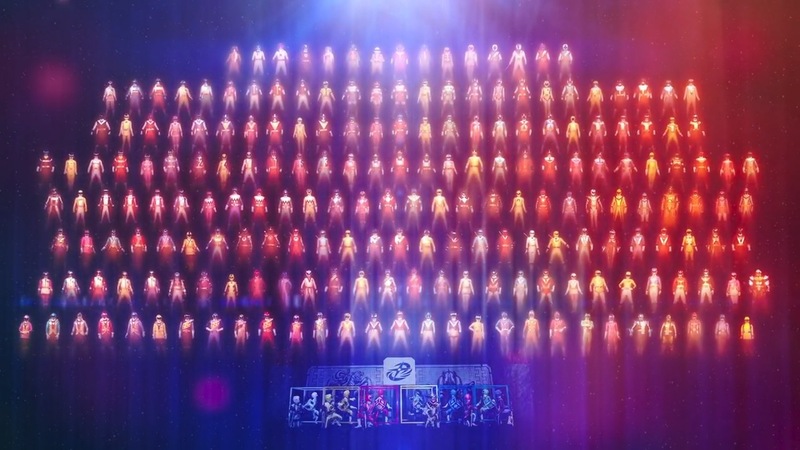 Due to the precedent set by Gaoranger, Boukenger and Gokaiger’s anniversary celebrations, there was the expectation that Doubutsu Sentai Zyohger might celebrate Super Sentai’s 40th anniversary with a special “Vs Super Sentai” movie – featuring guest stars from all across the franchise’s long history. However much like the show itself Toei instead seemed to opt for a more subdued celebration, continuing the standard line of versus series movies with Doubutsu Sentai Zyuohger vs Ninninger: Message from the Future from Super Sentai. As well as featuring the return of preceding team Shuriken Sentai Ninninger, this movie also features the first appearance of the Uchu Sentai Kyuranger. The future of Super Sentai is in danger when the Zyuohgers are randomly attacked by the Ninningers, who have been tricked into believing that they are Yokai Monsters responsible for the destruction of planets. 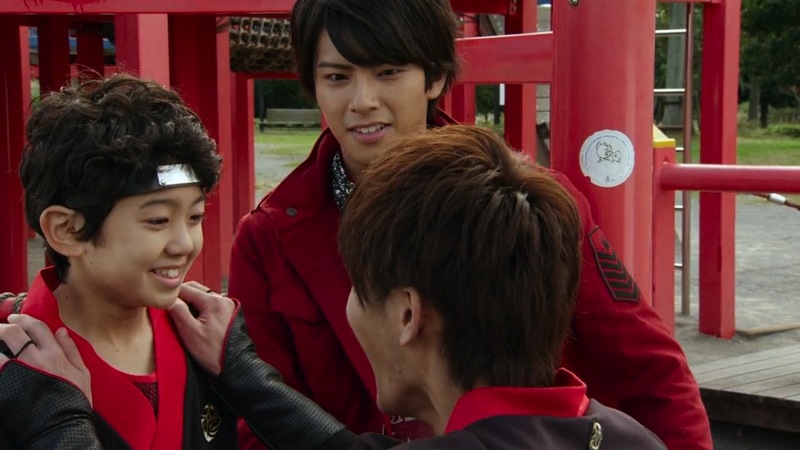 In the midst of their battle a boy appears before Takaharu and Yamato, claiming to be Takaharu’s son Yoshiharu from the future. He reveals that on this day both the Zyuohgers and Ninningers are defeated in battle, ending the legacy of the Super Sentai. Zyuoh Eagle and Aka Ninger must now work together to persuade their teammates to stop fighting and work together to defeat the villain orchestrating these events. Given the significance of a 40th anniversary and the mixed reception towards Shuriken Sentai Ninninger, it’s understandable that the news there wouldn’t be a “Doubutsu Sentai Zyuohger vs Super Sentai” was met with disappointment. 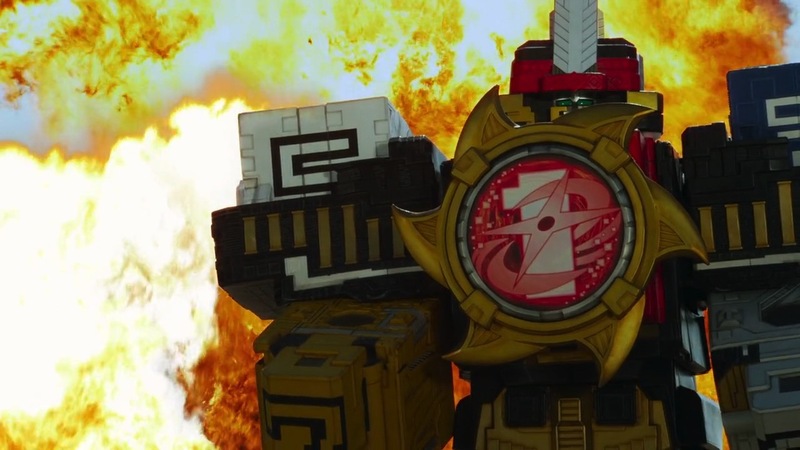 But much like how Zyuohger as a series celebrated the anniversary by emphasising the spirit of the franchise, Zyuohger vs Ninninger pays respect to its heritage in a different manner – by looking towards the future. 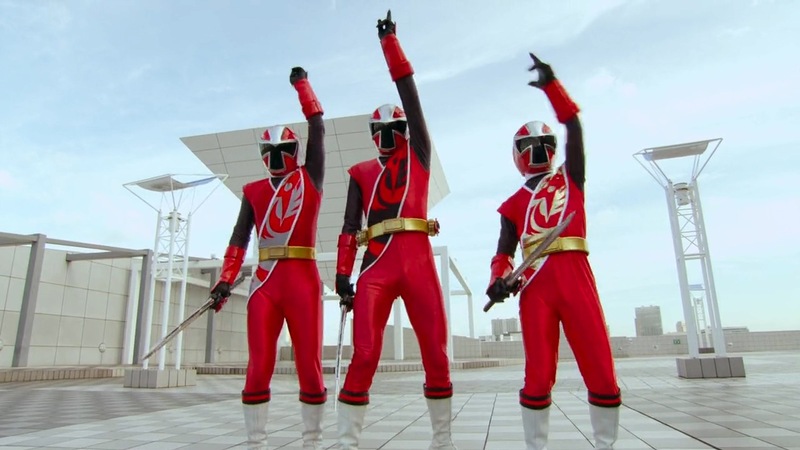 Gokaiger Goseiger Super Sentai 199 Hero Great Battle is only six years old and still fresh in everyone’s minds, so any big scale anniversary movie would immediately draw comparisons. 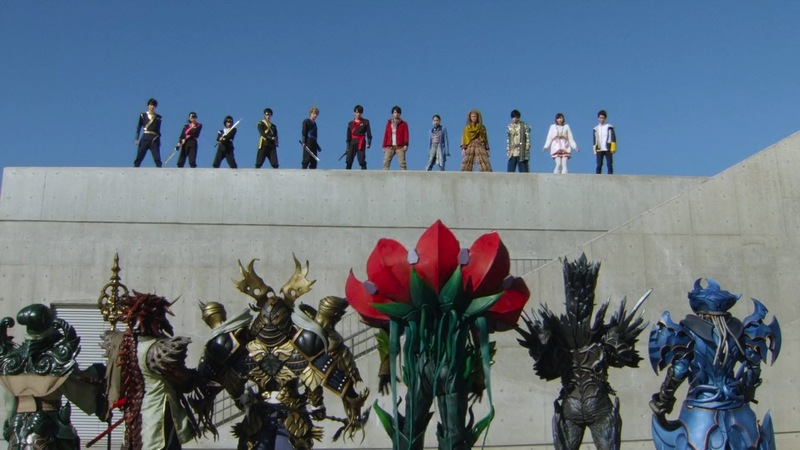 But not every anniversary series can be as huge as Gokaiger was, because if they were all like that none of them would be special. Zyuohger’s strengths didn’t lie in throwbacks and homages, they were in creating a strong story and cast. 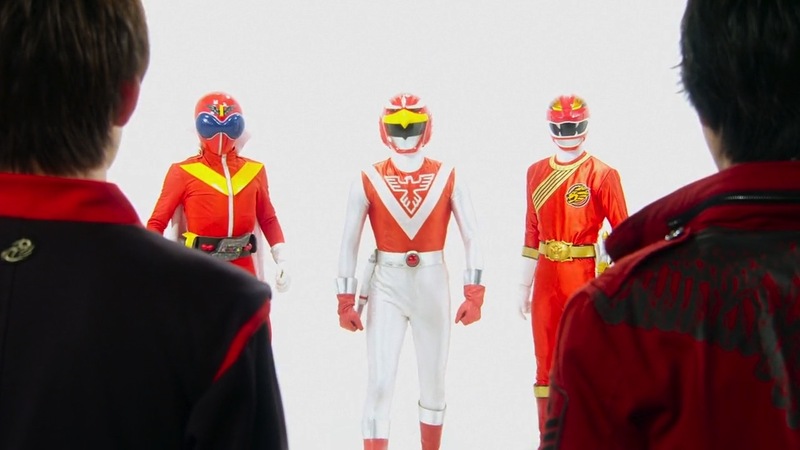 Zyuohger vs Ninninger may feature the spirits of previous reds and a special 40th anniversary mecha power up, but the story focuses squarely on moving towards the future. 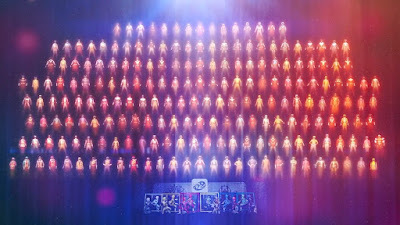 Certainly on a wider scale there was a lot more the film could have done with this idea (it would have been great to see the 100 Years Later Kyoryugers, the adult ToQgers or the future Dairangers for example), but the generational element of the Igasaki clan is enough to get the point across. Bigger doesn’t always mean better. As well as not getting too caught up in the past Zyuohger vs Ninninger also doesn’t get too caught up in continuity either. Though the film is quite obviously placed following the end of Ninninger and before Quval’s betrayal in Zyuohger, the plot is a relatively standalone and doesn’t feature any heavy referencing to either series events. Genis isn’t even in the film, there’s no lingering Yokai and the Kibaoni Generals only show up through Sentai’s standard “current villain resurrects past enemies” trope. Again these sound like things that might result in a weaker film, but free from plot ties and (especially in Ninninger’s case) the elements that weigh it down Zyuohger vs Ninninger is free to work completely on its own merits. Yoshiharu is a great addition to Sentai’s current string of excellent child-ranger characters, while new villain Gillmarda is a good one-off opponent that doesn’t have any wider implications. As far as setup goes this is one of the most literal Versus movies there’s been in a while, with at least half the film featuring the two Sentai teams at odds with each other. Of course the reasons behind the Ninningers going after the Zyuohgers is incredibly flimsy and makes them look a bit naïve, but that usually tends to be the case with these films. The result is though that the film features plenty of great Sentai vs Sentai fight scenes before they come together once they realise they’ve been tricked. It’s often the case that a weaker team can find strength in being pair up with another one and this is definitely true of the Ninningers, who play off their successors wonderfully. Even Takaharu is far more tolerable partnered up with the more level-headed Yamato, even if it seems he’s still getting fired up about every little thing. When truly together the teams are even stronger, prompting some great co-op fight sequences that make good use of both teams’ special abilities. If there’s one thing the Ninningers could be counted on for it was flashy fight sequences – bringing ninja shenanigans, magic and even a few surprise mecha transformations. This is technically an anniversary movie though, and as you can’t truly look toward the future without acknowledging the past the previous 38 Sentai are on hand to lend their power. Daisuke Shima returns to reprise his role as Liveman’s Red Falcon in voice only (arguably the perfect character to address the Zyuohgers), but everyone the else only appears as part of group shots (the reds also getting a quick pose each). Wild Tousai King also gets a nice new 40th Anniversary shuriken-themed power-up, which isn’t much to look at but does come with a rather satisfying final attack. The wider Super Sentai stuff really doesn’t have all that much prominence in the film and would have easily worked just as well without them, but seeing them altogether still proves to be just as satisfying as ever even as a 30-second snippet. Yoshiharu may be the embodiment of Super Sentai’s future but he isn’t the only one representing it in the movie, as per recent versus series tradition this also marks the first appearance of the Kyurangers. 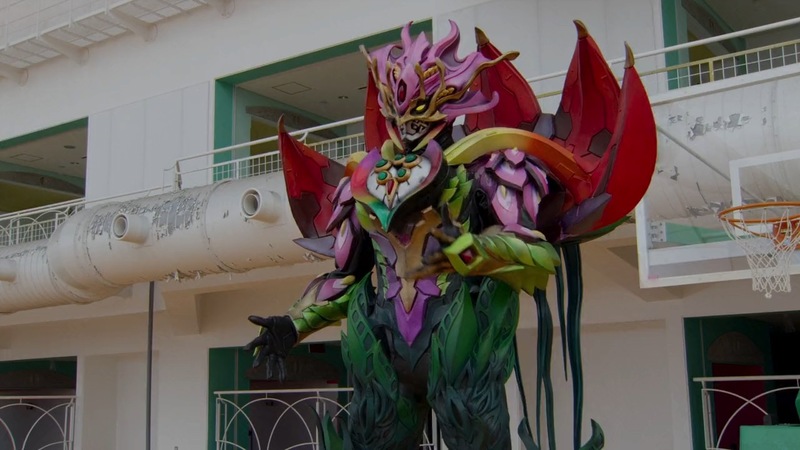 Like the Kamen Rider summer movies these cameos are always interesting to gauge how much refining the characters have before their full series starts, and in the case of the Kyurangers there seems to be little change. The cameo ultimately boils down to a sidelined fight scene that goes by unwitnessed by the main teams, but it’s nice to see all nine main Kyurangers in action since that’s a rarity in the actual series. Naturally the scene mostly focuses on Lucky (with a nice little use of his trademark luck in battle) but each one gets their own little fight snippet to show off their individual powers (which again can be a rarity for some in the show, such as Washi Pink). 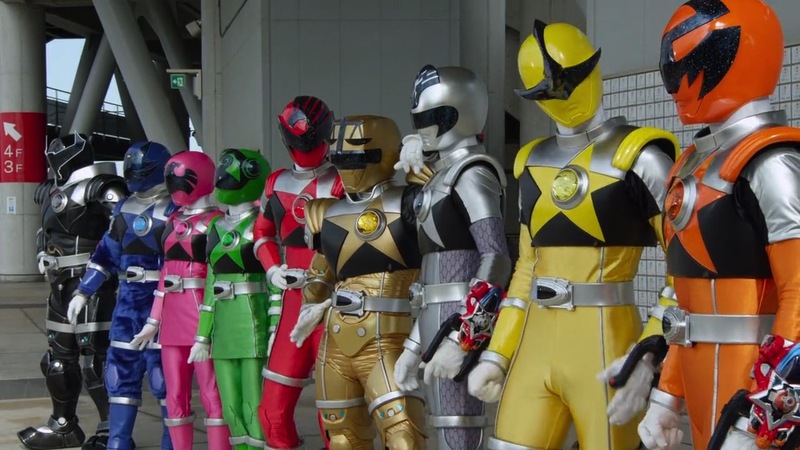 It would be nice to have a cameo where the new team comes face to face with their predecessor again as the last one was all the way back in Gobusters vs Gokaiger, but this is still a great spotlight for the Kyurangers and would have certainly turned heads for those seeing them in action for the first time. 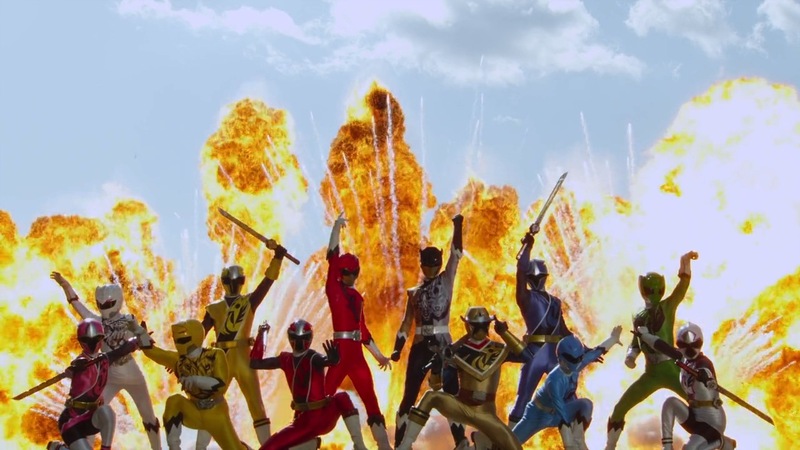 Much like the series itself, Doubutsu Sentai Zyuohger vs Ninninger is a film that can be best summed up as having could have done more with its premise, but doing what it does have very well. The two teams work well together both in conflict and as partners, with the Ninningers coming off far stronger on the back of another series. It isn’t the loudest or most memorable 40th anniversary Super Sentai could have had, but it’s one that encapsulates its endearing spirit and looks forward to what will hopefully be many more adventures.